We understand the unique needs and expectations of Pilgrims and have built our service and programmes around the years of experience and knowledge gained from specialising in pilgrimages to this Holy Shrine. We are proud to offer an all encompassing package ensuring a friendly, courteous and comfortable pilgrimage right from your initial enquiry through to your journey home. Always available for our Pilgrims! 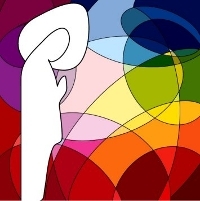 Pilgrims travelling with Mancunia enjoy an organised programme which includes Masses, walking tours and excursions offered exclusively for our pilgrims and guided by English speaking Spiritual Leaders and our resident representatives in Lourdes. Upon arrival you will meet with a Mancunia representative who will show you to your hotel. You will also be invited to join our our complimentary guided tours of Lourdes depicting the life and times of St Bernadette. The Mancunia Lourdes office will arrange daily Mass in English, including at least one Mass celebrated at the Grotto. Our programmes include the opportunity for you to visit the Baths and allow time for your own personal devotions. Your religious programme will include participation at The Blessed Sacrament Procession, Blessing of the Sick, Stations of the Cross, the Marian Torchlight Procession and attendance at an International Mass. Our optional excursions include trips to Bartrès (a small village outside of Lourdes where Bernadette lived for part of her life), Gavarnie and Pont d’Espagne (wonderful scenic towns situated in the Pyrenean Mountains) and are accompanied by a local guide and/or Spiritual Leader. Our pilgrims are welcomed on arrival by our team, all English and French speakers. They are experts on the activities, facilities and services Lourdes has to offer and are on hand should you need any assistance during your pilgrimage. They will provide you with the best advice and support available. Overlooks Lourdes and can be recognised by its large cross illuminated at night. Take the 100-year-old funicular railway transporting you to the summit, some 1,000m in altitude in only 6 minutes. Enjoy the fantastic view over Lourdes, Pau, Tarbes and the Pyrenees. 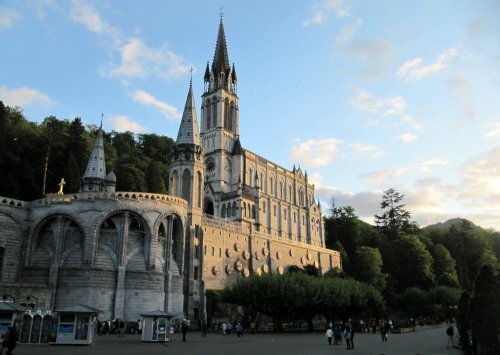 Discover the history of Lourdes at the time of the Apparitions. A fort has existed on this site since Roman times; the museum contains several exhibitions and is well worth a visit. The Little Lourdes takes visitors into the past, in a miniature world, to discover what life was like for Bernadette in 1858. Daily screenings of Jean Delannoy’s film about Bernadette’s life (shown in several languages daily). More than 100 life-size wax characters, presented by the designers of the famous Musée Grévin of Paris. Scene after scene, you will relive the fascinating story of Jesus Christ and Bernadette’s life.